GC Eagles have enjoyed a long and successful sports history under the direction of successful leaders. The coaches approach athletics through caring for each student, ensuring their safety, and providing encouragement, instruction, experience and high expectations to create a formula for winning. He takes his responsibility seriously to engrain the importance of integrity and Christian character into the lives of his students and athletes. The goal is to provide a foundation on which they can not only succeed, but also to excel. Beginning in 6th grade, students have the opportunity to participate in competitive sports. High School athletes participate in competitions through the Texas Association of Private and Parochial Schools (TAPPS), which provides officials, rules, and policies that govern the athletics practices and events. 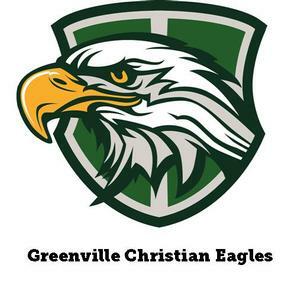 Greenville Christian has playing and practice fields and courts for all sports competitions except track. Part-time coaches and a group of dedicated long-time volunteers also support the athletics program. Sports are fertile ground for learning life principals that prepare young athletes for success in adulthood. At GC we teach solid skills, conditioning, and character, and we do so with prayer and faithfulness.